A new software update is rolling out to the T-Mobile Moto X variant starting today with a focus on improving the camera experience. 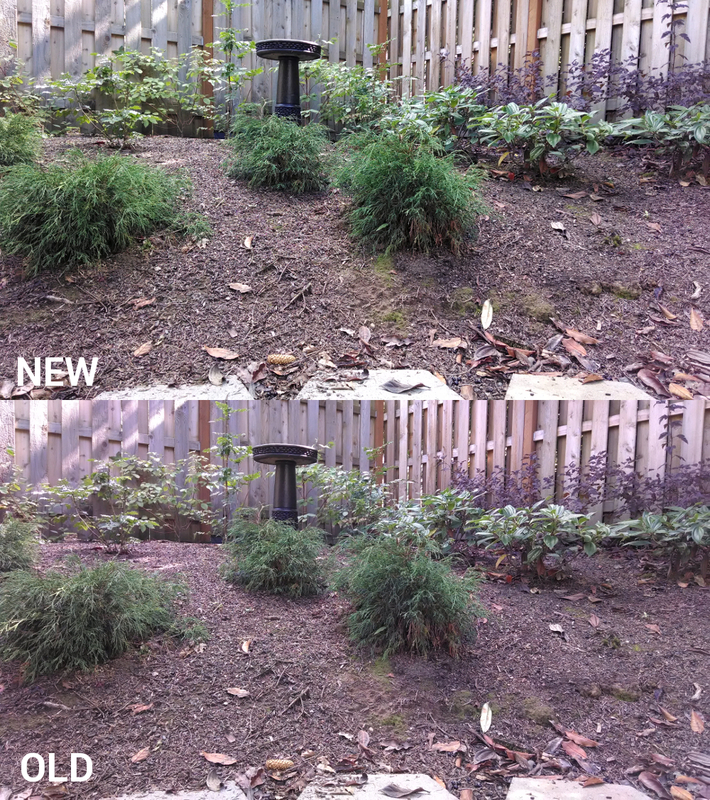 We have had the pleasure of testing the software for about a week now, and have results to share with you below. With two Moto X phones in house, we had the opportunity to take a variety of shots in a variety of settings with a tripod to get a bunch of before and after photos. One thing is clear, the camera is certainly improved post-update. 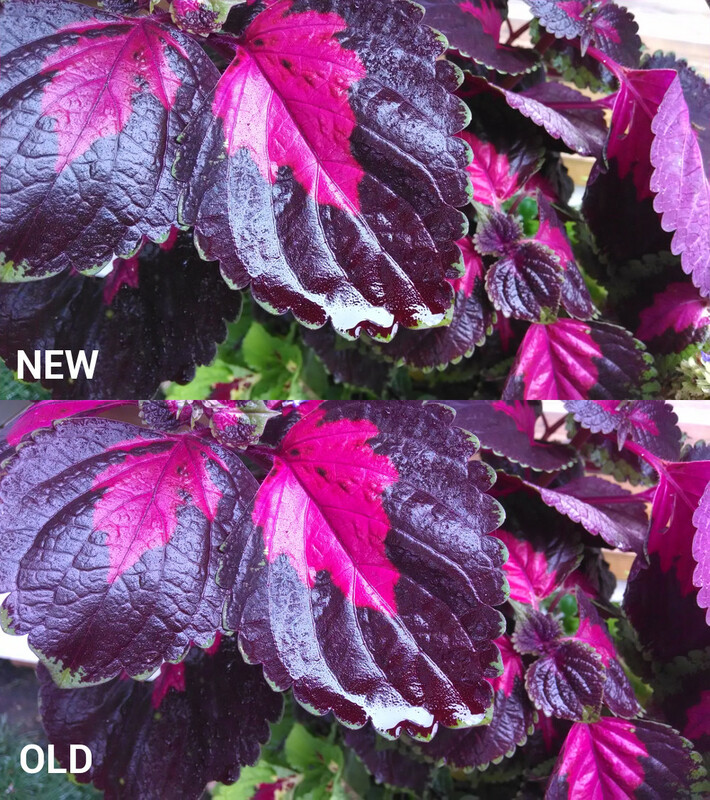 From our test results, you’ll see a pretty dramatic increase in color accuracy after the update. 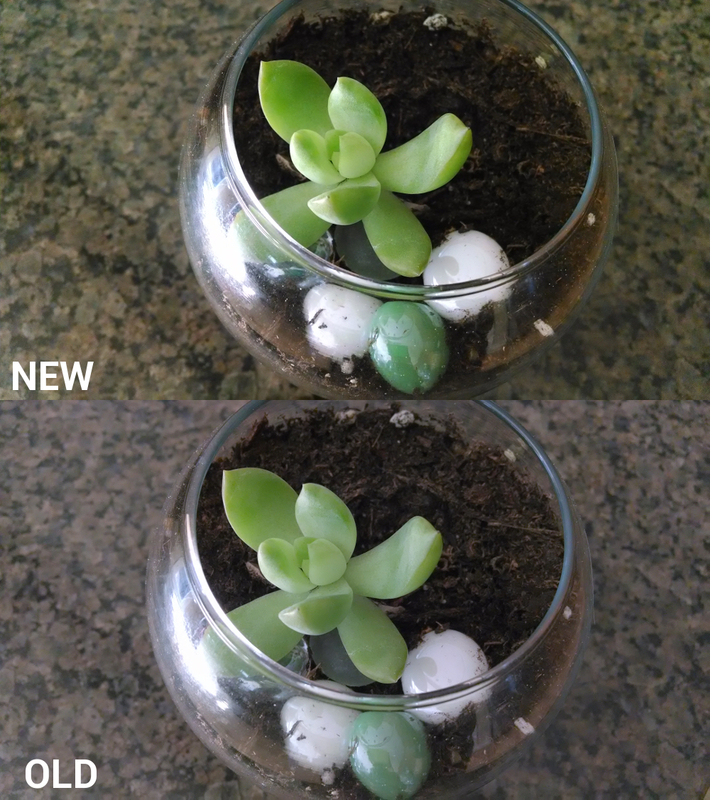 Photos no longer look like they have a brownish tint and actually show color where you wouldn’t have seen it previously. 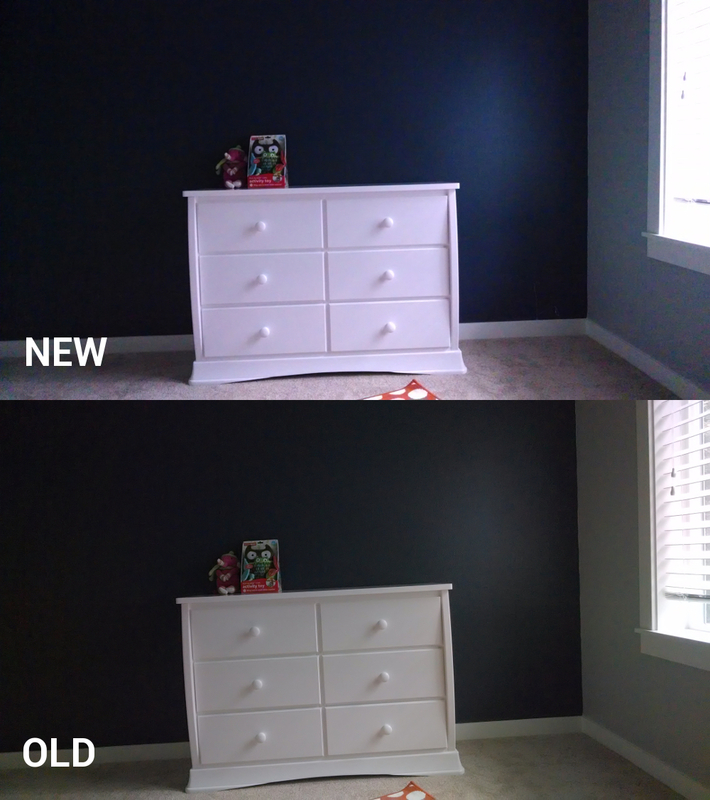 Take for example the picture below of a spare bedroom in my house that shows a white dresser up against a dark blue wall. 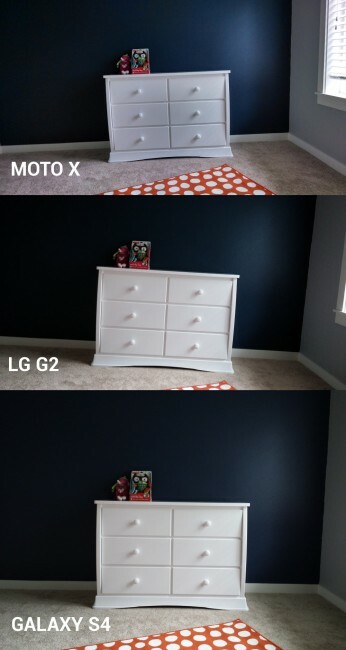 The new camera software picks up the blue tint behind the white dresser, while the old camera shows the wall as almost a grey or charcoal color, along with a yellowish dresser. 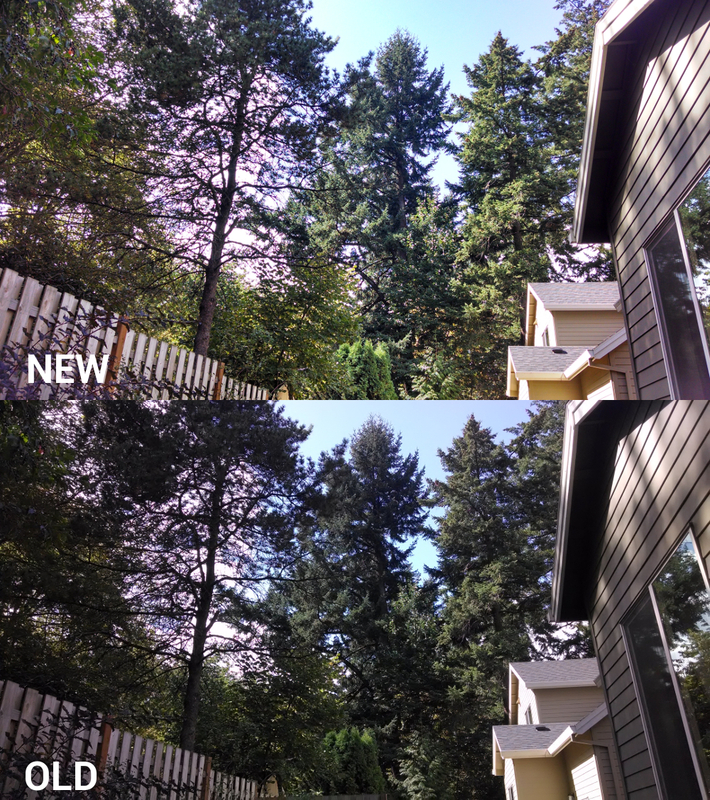 You’ll see the change in most outdoor shots as well, with sky looking bright blue and green shining through on vegetation, where the old camera software left the sky looking pale and greenery looking lifeless. 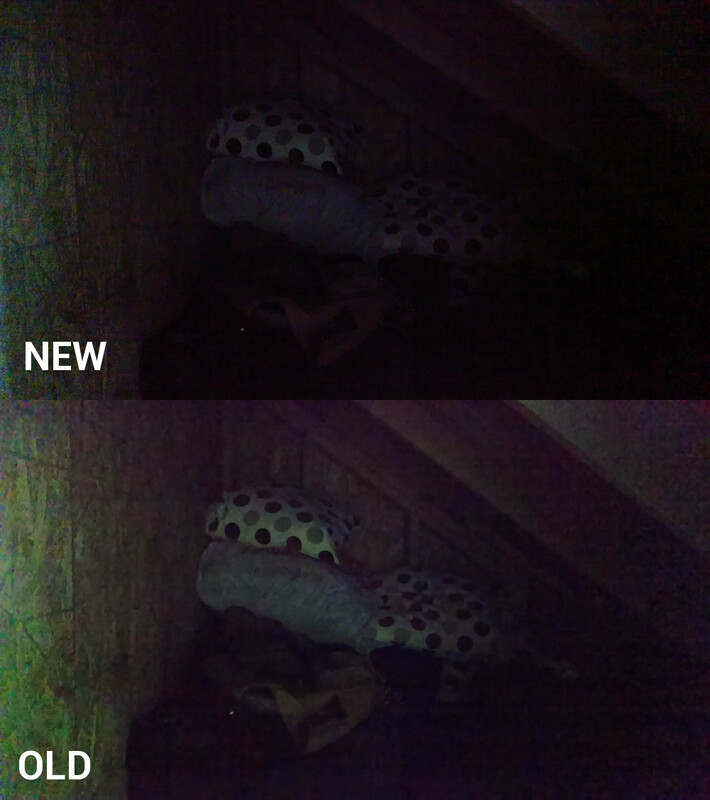 The only area I noticed a decline in performance was in extreme low light. 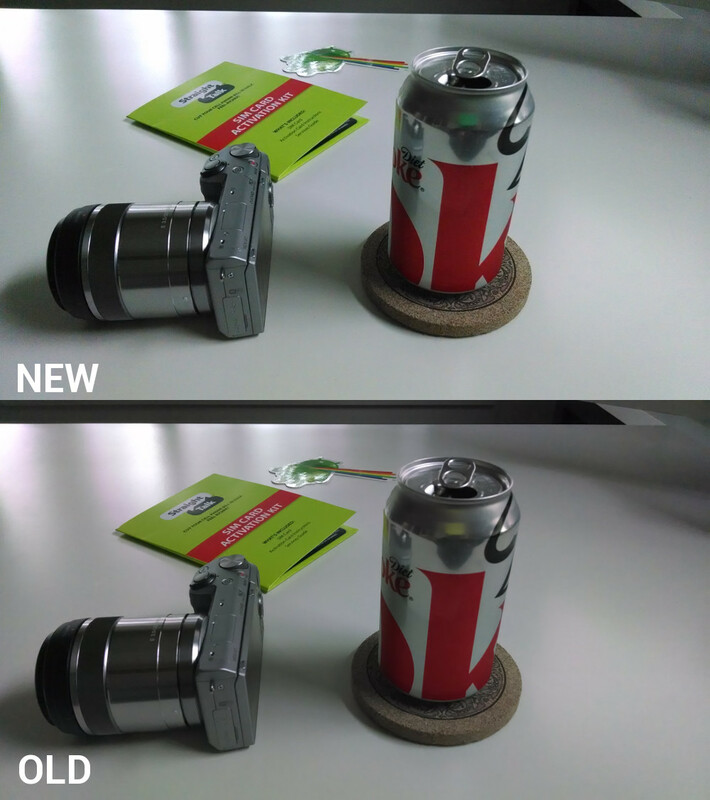 I found that the new camera software couldn’t quite display as much of a dark closet, but I think I can live with the color accuracy improvements over extreme low light performance decreasing. 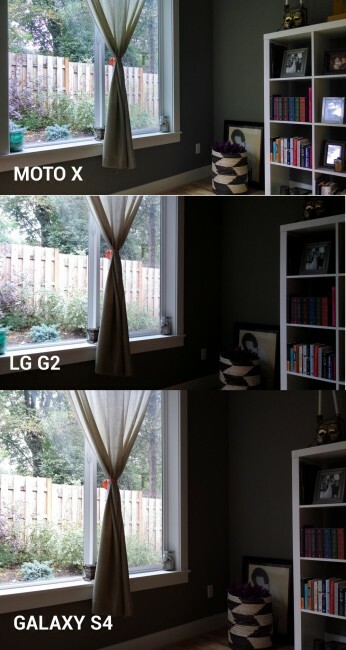 How often do you need to take a picture in a completely dark room? Other than that, I can’t wait for this to rollout to everyone. 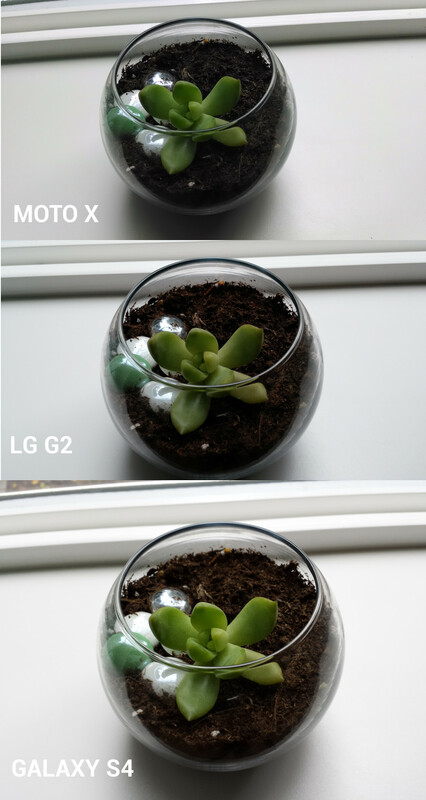 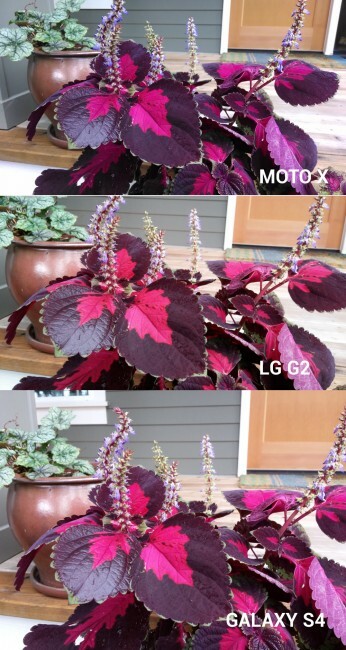 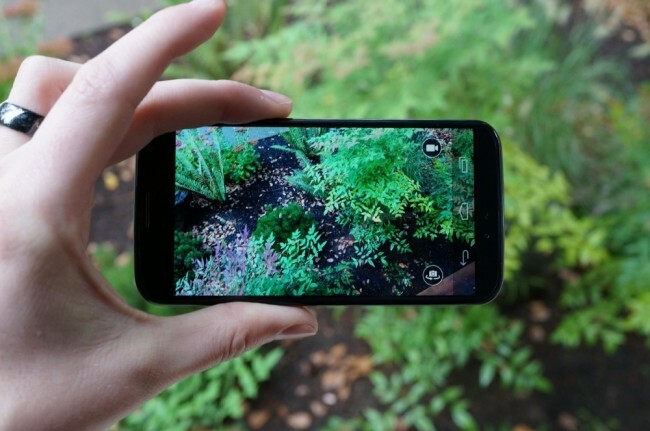 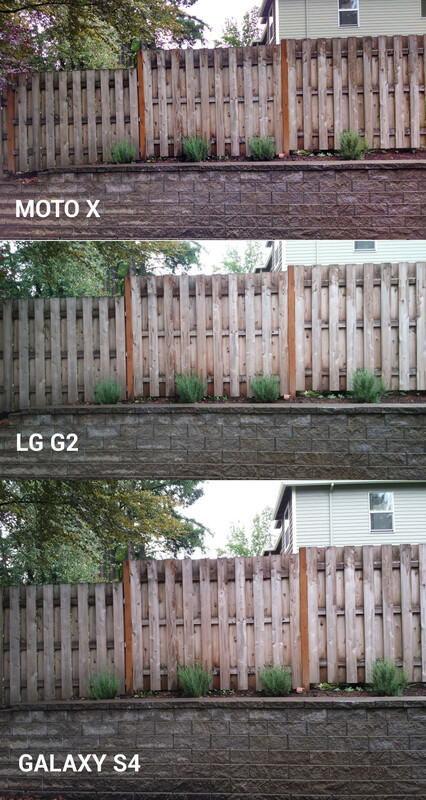 UPDATE: A number of readers asked to see how the camera update makes the Moto X compare to other top devices. 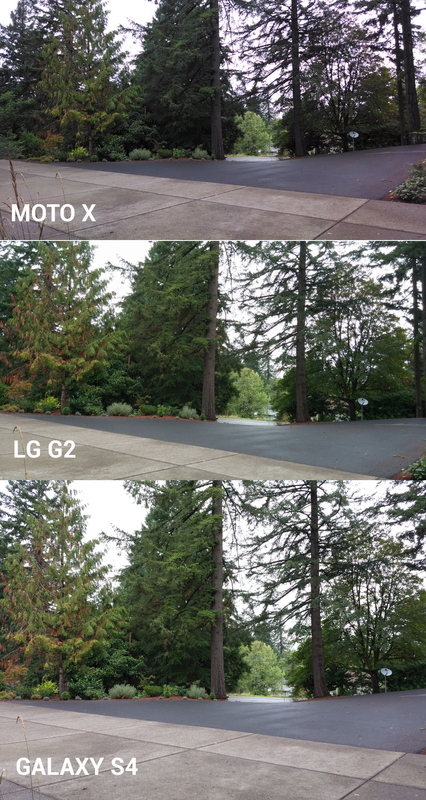 Here are some tripod shots with the Moto X up against the Galaxy S4 (Google Play Edition) and the LG G2 (international variant). So what do you think? 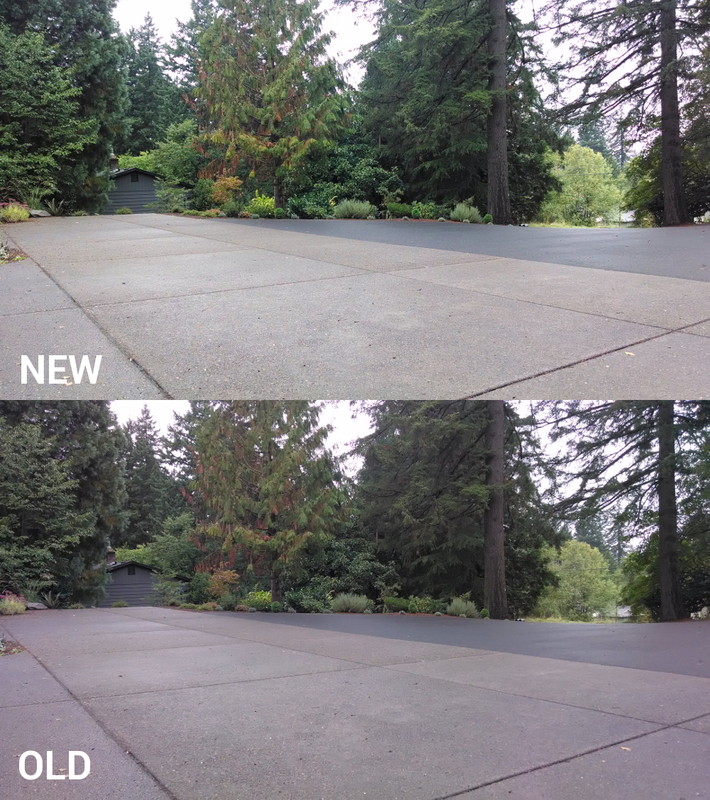 Solid improvement?